Carmen Giménez Smith is an assistant professor of creative writing at New Mexico State University, the publisher of Noemi Press, and the editor-in-chief of Puerto del Sol. Her work has appeared or is forthcoming in Mandorla, Colorado Review, Ploughshares, Jubilat and Denver Quarterly. She is the author of the poetry collection, Odalisque in Pieces (University of Arizona Press, 2009). 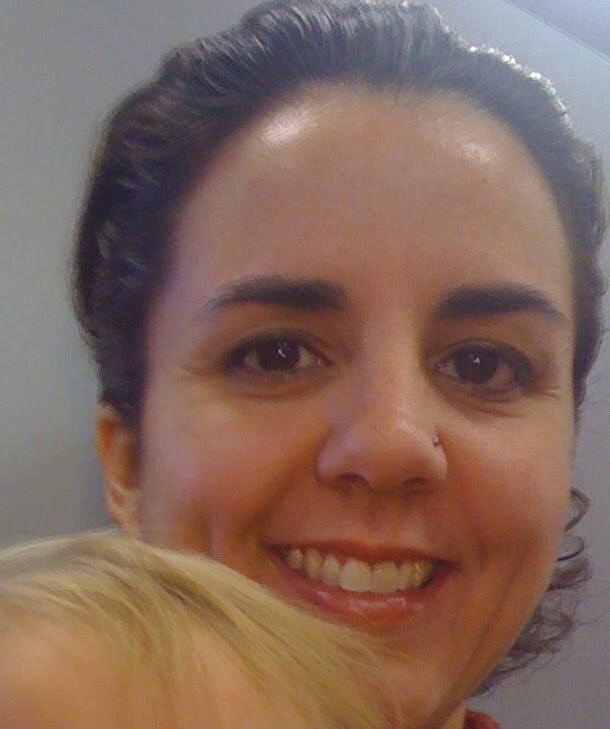 She lives in Las Cruces, New Mexico with her husband and their two children. I recently had the pleasure of reading her memoir, Bring Down the Little Birds: On Mothering, Art, Work, and Everything Else (University of Arizona, 2010). It is a startling and eloquent look inside one author’s poetic soul as she attempts to integrate art with the complexities and demands of being a professor, wife, mother and daughter. This book will bring both laughter and tears which is not unlike life itself. How does a contemporary woman with a career as a poet, professor, and editor experience motherhood with one small child, another soon to be born, and her own mother suddenly diagnosed with a brain tumor and Alzheimer’s? The dichotomy between life as a mother and life as an artist and professional is a major theme in modern literature because often the two seem irreconcilable. In Bring Down the Little Birds, Carmen Giménez Smith faces this seeming irreconcilability head-on, offering a powerful and necessary lyric memoir to shed light on the difficulties—and joys—of being a mother juggling work, art, raising children, pregnancy, and being a daughter to an ailing mother, and, perhaps most important, offer ing a rigorous and intensely imaginative contemplation on the concept of motherhood as such. Writing in fragmented yet coherent sections, the author shares with us her interior monologue, affording the reader a uniquely honest, insightful, and deeply personal glimpse into a woman’s first and second journeys into motherhood. 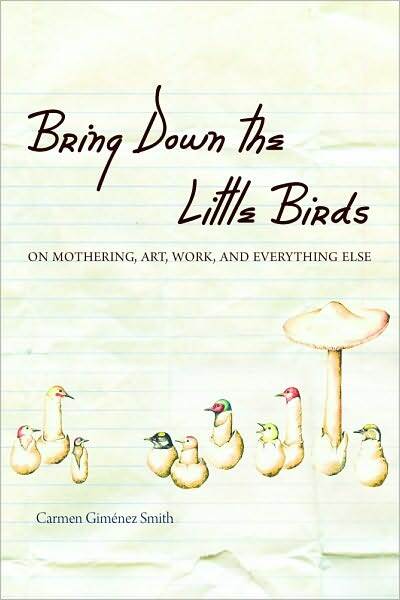 Giménez Smith begins Bring Down the Little Birds by detailing the relationship with her own mother, from whom her own concept of motherhood originated, a conception the author continually reevaluates and questions over the course of the book. Combining fragments of thought, daydreams, entries from notebooks both real and imaginary, and real-life experiences, Giménez Smith interrogates everything involved in becoming and being a mother for both the first and second time, from wondering what her children will one day know about her own “secret life” to meditations on the physical effects of pregnancy as well as the myths, the nostalgia, and the glorification of motherhood. While Giménez Smith incorporates universal experiences of motherhood that other authors have detailed throughout literature, what separates her book from these many others is that her reflections are captured in a style that establishes an intimacy and immediacy between author and reader through which we come to know the secret life of a mother and are made to question our own conception of what motherhood really means.